Fleet Aircraft Company built eleven Consolidated Model 21 aeroplanes for its parent company, Consolidated, in 1936 and 1937. Ten of these were exported to Mexico as basic trainers for the Mexican Air Force. 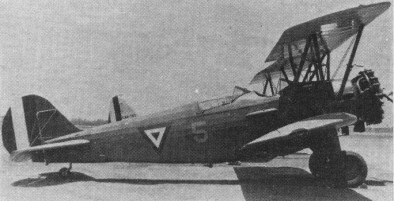 The eleventh was produced in 1937 as a demonstrator for Fleet, which tried to interest the RCAF in this large biplane. Unfortunately, the days of the biplane were already numbered, and monoplanes were emerging from the world's aircraft factories in greater quantities. Originally built as the Model 21M with a Pratt & Whitney R-985 Wasp Jr. engine, some were converted to a Model K with the Jacobs L-6MB engine.